The fate of Eclare’s baby. From the look of this scene, it doesn’t look good. Been saying it since the beginning that based simply on the timing of when Clare is supposed to leave the show, it makes no sense for her character to be written off while still pregnant. The final episodes of 14B (excluding that 4-part movie that hasn’t been mentioned during this whirlwind week of Degrassi news) will air Monday – Friday at 9pm EST starting July 20th. TBH, I really wish we knew id the show is canceled so fans can’t get some closure. I just feel that the journalist & DHX is toying with the fasn. I do know understand why Epitome is still filming S15, they’re doing it so if they do get picked up they have something for the network whoever new contracts with DHX/Epitome. Also if Clare does loose her baby it will be stillborn not a miscarriage. The other twist to the story maybe the baby has a genetic abnormality and she will terminate it. Both options can destroy a relationship.. Women feel the loss physically and emotionally and could pull away from the lover. The parter just feels the emotion. A lot of fans are young so they don’t understand that. Also can Clare have kids?? So many questions.. I feel Eclare will be over in the finale as lovers. They are not continuing with the seniors and I feel many go there separate ways which is very realistic. 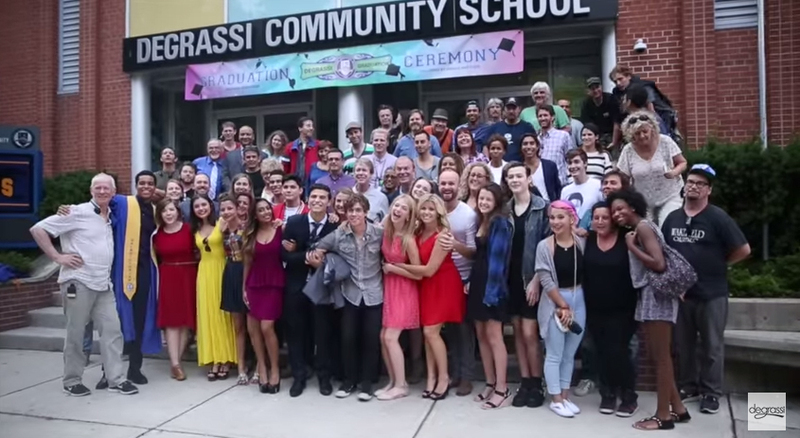 Which Degrassi is. I’m not to worried about the underclassmen at all. Robin, I think you have confused the concepts of stillbirth and miscarriage. Stillbirth happens when the baby is about to be born. Clare’s not even in her second trimester (from the looks of her body). 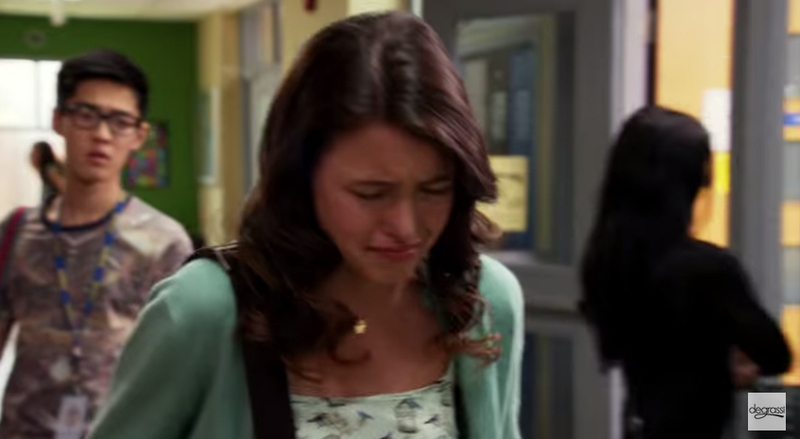 If Clare’s loosing the baby, it’s either a miscarriage (which can occur anytime during the nine months of pregnancy) or terminating it herself because of a genetic disease (as you suggested – an idea I actually kind of like, because Degrassi has never gone there before). She was 4 months pregnant when she had her ultrasound. She is in her second trimester. Regardless, she still wouldn’t be having a stillbirth at four months pregnant. Stillbirth requires the baby/body to actually be born out of the womb. Stillborn is after 20 weeks, Go look it up. We don’t know if the baby died or she as a miscarriage. BTW I know what stillborn is… My friend had to deliver her dead baby at 5 months.. Yes I know what I’m talking about. Clare is at the doctors office and I’m sure shes having a 2nd ultrasound. So either there is complications with the pregnancy, maybe a genetic disorder, maybe their is no heart beat.. We don’t know. They baby might be fine. Is the movie mentioned just the four episodes before the finale?